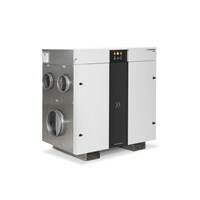 The elegant adsorption dryer TTR 57 E is recommended for unheated rooms up to 20 square meters. 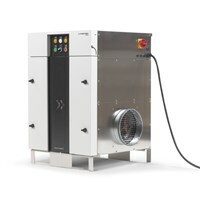 TTR 200 - leightweight, robust and compact for high drying capacity at lower temperatures! The adsorption dryer that delivers high-performance results even at low temperatures. Suitable for operation in explosion-prone zones - stay on the safe side. Ideal for applications with long air hoses - of course "made in Germany"! 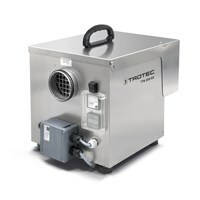 TTR 300 - leightweight, robust and compact for high drying capacity at lower temperatures! 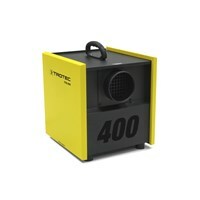 TTR 400 - leightweight, robust and compact for high drying capacity at lower temperatures! 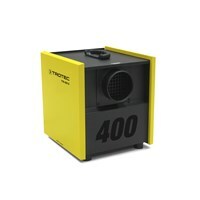 TTR 400 D - leightweight, robust and compact for high drying capacity at lower temperatures! 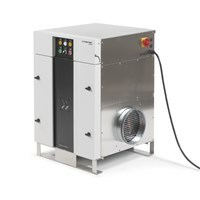 TTR 500 D - leightweight, robust and compact for high drying capacity at lower temperatures! 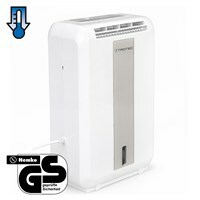 The TTR 800 has a dehumidification performance of 3,6kg/h at 950 m³/h air flow rate. 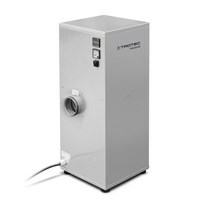 The TTR 1400 has a dehumidification performance of 7,4 kg/h at 1.750 m³/h air flow rate. 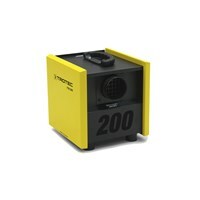 The TTR 2000 has a dehumidification performance of 10,8 kg/h and 2350 m³/h air flow rate. 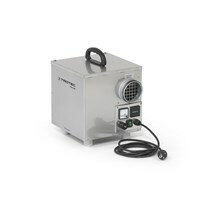 The TTR 2800 has a dehumidification performance of 15,7 kg/h and 3150 m³/h air flow rate. 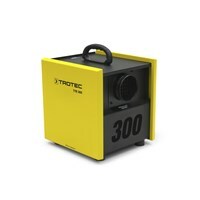 The TTR 3700 has a dehumidification performance of 20,5 kg/h at 4.300 m³/h air flow rate. The TTR 5200 with a dehumidification performance of 29,1 kg/h at 5.800 m³/h air flow rate. 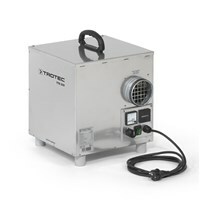 The TTR 6600 with a dehumidification performance of 37,2 kg/h at 7.200 m³/h air flow rate. 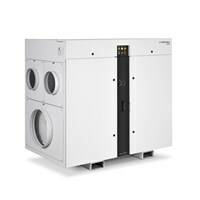 The TTR 8200 wit a dehumidification performance of 46,2 kg/h at 9.000 m³/h air flow rate. 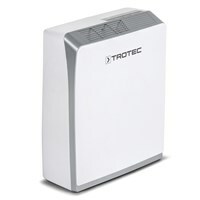 The desiccant dehumidifers of Trotec produced in Germany made with high-quality components and an innovative housing design. The TTR dehumidifiers achieve far lower dew points than refrigerator dryers and ensure a high dehumidification performance even at low air and component temperatures. Competitive machines cannot keep up with them, directly compared regarding performance and weight.